Gaurav Kapoor, Spectrum Plastics Group explains how to create trusted partnerships with original equipment manufacturers. Original equipment manufacturers (OEMs) in the medical device industry are faced with a complicated supply chain and an evolving set of regulatory compliance standards that can make it difficult to be successful in a competitive market. As a result, OEMs have created vast networks of contract manufacturing partnerships to help offset gaps in expertise. However, the sheer volume of partners can further complicate the process of continuous product development and pressure to bring next generation devices to market. This general trend has led to a sharp increase in medical manufacturing mergers and acquisitions, including the formation of a new manufacturer, Spectrum Plastics Group. By merging Pexco with PPC Industries, which also includes Kelpac Medical, Spectrum Plastics Group is helping OEMs navigate challenges in a more efficient way. The combined expertise within one unified source allows OEMs to engage with one partner for a variety of needs. 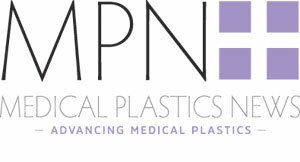 In the case of Spectrum Plastics Group, those areas of expertise can be selected across three fundamental business platforms: a ‘legacy’ medical tubing operation; ‘specialty’ services for advanced manufacturing in medical implantable and performance plastics injection molding; and finishing services to support contract manufacturing and original design and manufacture operations. Spectrum Plastics Group is now a single-source partner for the medical device industry. To get there, Spectrum Plastics Group focused on creating trust with OEMs. That meant adopting the OEM point of view and understanding that all products, parts or components manufactured by Spectrum are ultimately used by practitioners to drive patient outcome. That thought process permeates the culture at Spectrum and creates trusted OEM partnerships that go beyond the figurative manufacturing floor. Other times those thought processes are quite literally part of the manufacturing environment, including visual reminders on the manufacturing floor that reads, ‘Remember the Patient’. OEMs are looking at the trend of consolidation from a supplier base as well. As approved supplier lists (ASLs) continue to grow, medical device manufacturers are looking to diversify and simplify the supply chain, add to offerings and provide turnkey solutions. The geographic locations offered by a supplier can hold significant value. The size and scale of the business is another reason why Spectrum Plastics Group has experienced rapid success. Hubs of medical technology are forming in key areas around the world, including Ireland, Malaysia, Costa Rica and northwestern Mexico as well as key areas within the United States, such as southern California and the Northeast. Spectrum Plastics Group has facilities in all of these regions, and more, which means that products can be shipped to and warehoused at any facility. Customers can operate knowing that the components needed are only a few hours away. If more are needed, there is less, if any, downtime resulting in added efficiency. Global regulators have also brought a focus to supply chains, and with that, comes evolving standards. Within the last few years, there has been a marked increase in warning letters from the US Food and Drug Administration driven by supply chain practices. Governing bodies in Europe, Canada and Australia, for example, are also issuing significant changes to the regulatory process. Since health care is managed differently in different regions of the world, so too are the regulations. While the timing of certain standards may be different for various parts of the global economy, all seem to have a sense of fluidity and are moving in the same direction. As OEMs are held to more stringent standards of responsibility, demands are increased throughout the supply chain as well. Therefore, creating partnerships with suppliers that have differentiated capabilities become that much more attractive. OEMs need quality control and assurance that can withstand even the most aggressive regulatory standards. Again, the size and scale of an operation like Spectrum Plastics Group is better equipped to deliver on the need for quality control. Spectrum has more than 100 people dedicated to quality control, spanning five countries and 20 facilities. While Spectrum’s footprint spans continents, the quality mission is the same everywhere: to design quality into the product. Rather than relying solely on end-of-line inspection to cull out the ‘bad’ product from the ‘good’, Spectrum inspectors confirm that the process is performed as expected and quality teams design quality into the product before the first unit is even manufactured. That key delineation, involving quality control before the units are manufactured, provides OEMs the confidence they need: that when the manufacturing lot is on, the products are efficacious and demonstrate the quality needed not only to pass regulatory standards, but that the devices can be trusted to better patient outcomes. Spectrum Plastics Group says its can better deliver on the need for quality control because it also manufactures registered products of its own as private label solutions. Experienced members of the team regularly submit documentation to many different regulatory bodies. That bridge in knowledge base is becoming more and more relevant for OEMs as standards evolve more rapidly. From product validation to design protocol, it requires a careful and practiced level of understanding that many OEMs do not have internally—especially those that are startups and not likely to have a regulatory expert on staff. Supply chain and regulatory challenges remain top considerations for OEMs on one hand, however, finding a partner to create a symbiotic relationship to drive innovative product development is in the other. The engineering team at Spectrum Plastics Group is as sizable as the quality team, employing more than 100 people. Providing engineer-to-engineer support helps address the needs of OEMs in many different ways. A primary area of expertise that can accelerate innovation is material selection. If a device is designed with certain specified materials that cannot in fact be used during the manufacturing process, Spectrum’s engineers will address it before the process is started—preventing repetitive iterations to draw the same conclusion. Even if the material can be used to manufacture the device, the regulatory implications can once again become a burden. As OEMs expand and grow to support the manufacture of devices for different uses, the lack of knowledge can weigh the process down. Working with an experienced partner can help an OEM transition from devices that support fluid pathways to implantable and bioresorbables. In today’s market, finding a partner that can bring size, scale and expertise from material selection to regulatory standards is what OEMs need to do to stay competitive. There is an imperative to choose wisely and find a partner that not only delivers supply chain and regulatory compliance expertise, but also one that understands the need of the OEM. What that ultimately boils down to is creating an environment that puts the patient first. That means supplying practitioners with the tools they need to improve outcomes.